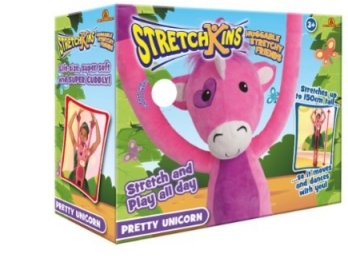 One of the must have toys for Christmas 2014, the Stretchkins are currently in short supply throughout the UK. We constantly track for stock which ensures you will be the first to know when availability is found. Checkout our Argos Stretchkins store checker to locate in-store stock. Attach the Stretchkin hands and feet to your children’s hands and feet from which it will stretch to life size. As you child moves, the Stretchkin also moves which makes dancing and exercise even more fun! 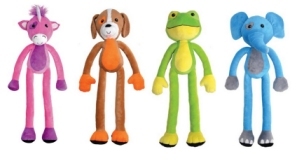 Will stretch up to 150cm tall and is ideal as a play buddy and travel friend. Only suitable for ages 3 plus. We constantly check for Stretchkins stock, so you don't have to. Receive email alerts when Stretchkins online stock is found.